I’ve been talking about my skincare routines the past few weeks but I wanted to devote a post to what I used while pregnant and nursing since I receive so many questions about this topic. Also, I am sharing a pregnancy skincare post from a cute beauty blogger I met at #rsTheCon last weekend that may be helpful as well! This last pregnancy I tried to use mostly clean products. Now I know “clean” is a big marketing term right now in the beauty industry but the marketing has definitely worked on me! I was just as attuned to what I was putting on my body as I was to what I was putting in my body. I can’t say that for my first pregnancy:). Y’all know I love Beautycounter. Throughout my pregnancy I used the cream cleanser and cleansing balm that I mentioned in my daily skincare routine post. I also used their their tint skin foundation for days when I needed lighter coverage. But the best thing I used for acne was a clay mask which helps draw out impurities. My aesthetician recommended this Skinceuticals masked and it worked wonders to calm my skin when I felt a hormonal breakout coming. It is also great for blackheads. (Note: it’s pricey so just use on problem areas; for me that’s my chin and lip area.) I used it weekly during pregnancy. But if you are a Beautycounter gal all the way, this Beautycounter charcoal mask is great, too. 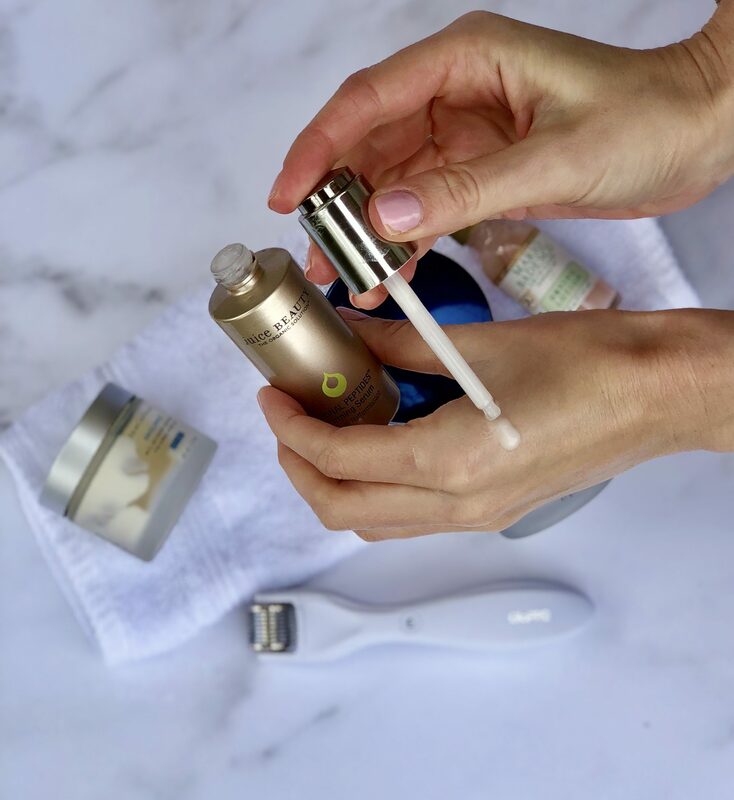 Since expecting women aren’t supposed to use certain anti-aging (retinols) and anti-acne (salicyclic acid) during pregnancy, I relied heavily on the skincare tools I talked about in this post. 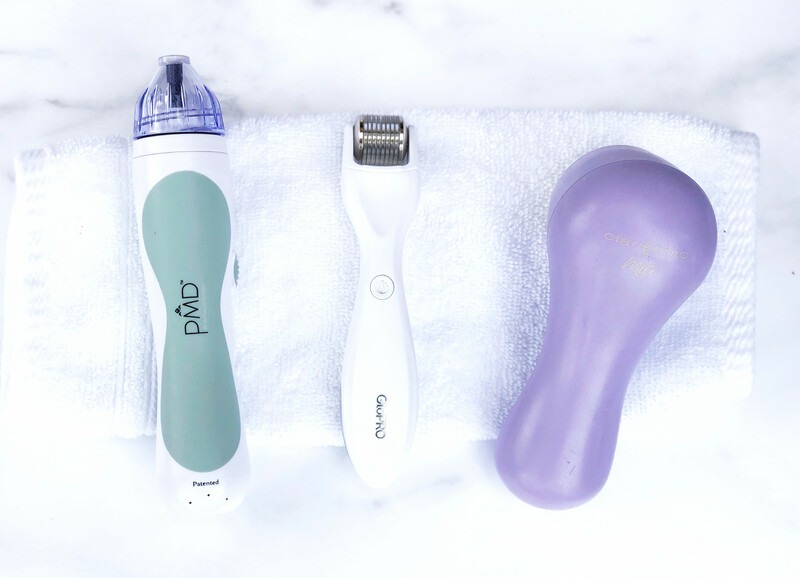 The Clarisonic and PMD were essential in keeping my skin free and clear of dead skin build up and supposedly the PMD helps with fine lines. Regular facials are essential in keeping my hormonal acne in check, especially when pregnant. My esthetician, Lulu, at Pure Beauty Spa attuned the facial to meet my skin’s pregnancy needs. Regular extractions and the facial tools she uses that I mentioned in this post helped so much as well. If you want to use some type of anti-aging products while pregnant or nursing this Firming Peptides Serum is amazing. Again, it’s made with fruit extracts, but powerful ones I imagine because I have been using this for about three or so months and really feel like it’s firming my skin. The serum also smells great and you can use it day and/or night under moisturizer. I plan to continue using this even after I stop nursing. And speaking of moisturizers, I liked the Juice Beauty serum so much that I bought this Juice Beauty moisturizer to try out. I also just purchases their sunscreen for our upcoming family beach trip so will let you know how I like it in an sunscreen review post. I met a super sweet beauty blogger named Kathleen Jennings at the Reward Style blogging conference last weekend and it turns out we have a mutual friend – such a small world! Anyway, I have been following her Instagram account for awhile so it was fun to get to know her a little bit. 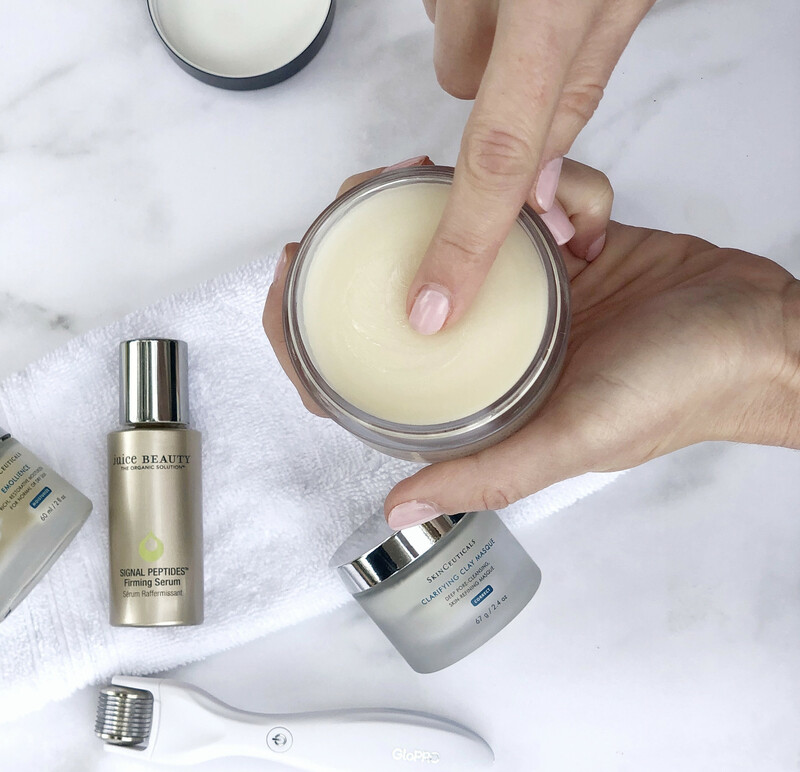 Kathleen knows all things beauty (and her skin is flawless!) so I wanted to share her pregnancy skincare post for another take on how to deal with anti-aging during pregnancy, including some of her favorite products. I love reading about what other people do for their skincare routines, don’t you? So, what I love about these dresser for pregnancy as well is Mi Golondrina can add a sleeve of your choosing as well if you don’t like the cap sleeve style! The finishing is done in Dallas, so almost anything online can have a sleeve added (with no embroidery). They are precious and so helpful!